Susan Supports Catholic World Mission for 15 Years and Counting! Years ago, Susan worked as a student nurse in Nauzontla, Mexico, a three-hour drive from Puebla. She tells us, “I am happy that I am able to continue doing something for the people of Nauzontla and surroundings.” We are grateful for her heart for this region of Mexico, and that she continues to support the area through her support of Catholic World Mission. Thank you and the team for putting together an insightful and honest update. The wonderful and hard work of Catholic World Mission must continue and when we read this well thought out and bullet point update of BEATING poverty not just being another industry of false hope we had to write you. A few years ago my husband, Duncan and I committed our life to living God, family and everything else in that order. We’ve been blessed to maintain this promise to God through the sacraments of Our Holy Roman Catholic Church. When we discovered Catholic World Missions back sometime in 2002 while living in Phoenix, AZ. We were both delighted to see how honestly CWM leans on the Lord through the Church and spends so much time evangelizing the GOOD NEWS that Jesus is with us. Your actions and information are straight-forward and a real blessing of a reminder that Lord is with us. Trusting in Jesus from the City of San Francisco and with a heartfelt THANKS. My wife and I were moved by the work being done by Catholic World Mission. And of course their results have been fantastic. They are making a difference. They are doing Jesus’ work and we wanted to help in any way that we could. In this day and age we need people that can do the job and not waste a lot of funds that are donated. Catholic World Mission does that job. As parents directing our children’s education, our primary goal is that they receive a well-rounded education thoroughly integrated with the Catholic faith to equip them for their role as citizens of this world, but also for their future in heaven. We want no less for other children as well. We help sponsor children at Mano Amigo schools because we know these children will receive a superior Catholic education encompassing human, intellectual and spiritual formation. Catholic World Mission is dedicated to helping and forming the whole person, who will then work to build a thriving culture. This philosophy saturates every one of their programs, including Mano Amigo schools. This philosophy inspires us to give with a joyful conscience. We are proud to be part of the Catholic World Mission. Our sponsored child was a gift from my husband during our first Christmas together. We had just learned we were expecting a child of our own and were ecstatic. Yet knowing how many children in the world do not have the same financial or educational benefits as our own children, we wanted to contribute in some small way that would afford those benefits to another child. We appreciate not only the firm foundation of faith and education that Catholic World Mission is able to provide for children, but also the fact that (unlike other charities) virtually every penny we contribute to Catholic World Mission goes directly to supporting our sponsored child. It’s a wonderful blessing to know that we are able to affect a child’s life so dramatically by doing so little each month! We support Catholic World Mission monthly because we believe in helping the less fortunate on their journey to long term sustainability. We feel confident that our donations directly benefit the poor and appreciate the updates from our sponsor child. It’s apparent that the staff has received an integral formation, for their professional, informed, and holy. It feels good to be a part of an organization that is truly making a difference to uphold gospel values in this world. I feel so blessed by our Lord for what I have and CWM is one of my top charities because it brings education and the message of Christ to our neighbors throughout the world. I like the updates I receive so I am confident knowing that my money is being used to help the poorest children and families in the world. We support Catholic World Mission because we want to share in the building of the Kingdom here on Earth; and to share in helping the poor through the great work all those involved with CWM do for the needy in so many countries. We are happy to be a part of this great apostolate! May God continue to bless the work each of you do for people wherever you are. God is calling us to do his will. One way we can participate in doing God’s will is Catholic World Mission. We are all called to mission and I know my calling is to contribute to evangelization, education, and elimination of poverty throughout the world. I have been truly blessed by being born and raised in America without want. However, I realize that this blessing does not come without responsibility. I believe that Catholic World Mission is the best way I can carry out God’s mission through my contributions. Catholic World mission is also a solution to poverty. Through their emphasis on education in the Mano Amiga Program they will strengthen the very people our generous donations directly help. God Bless. I want to state how much I admire the work of Catholic World Mission. There are a lot of other groups dedicated to reaching out to God’s children, but Catholic World Mission has a special place in my heart. Reaching out to the poor, and meeting temporal needs is one thing, but reaching them with the truth of the gospel and feeding them with Catholic Virtue is entirely different, and that which is necessary to feed both body and soul. The story and the people speak of the great need that exists throughout this world. Thank you and Catholic World Mission for their great love and desire to serve the poor throughout Latin America. Thank you for being God’s Hands and His Feet in this suffering world. …you can tell them that a pro-life Catholic realized one day that the fight for life does not end at birth. The knowledge that there are small children who are not able to eat, and haven’t the slightest idea about God or God’s love…that’s something worth fighting for. Our view of our business is that it really all belongs to God. This belief helps to relieve unneeded stress because whether business is ‘good’ or slow, we accept that God is in charge and is all due to His grace. But we are placed in charge to properly direct ‘His’ business. Part of that responsibility is that we are called to help the poor. In trying to be good stewards, we try to support an organization where the funds will attempt to help people out of poverty. At a time when it appears that so many non-profits are in the business of serving themselves, we believe that when we support Catholic World Mission the funds are used responsibly to serve Christ though the poor. May God Bless you in all your work. I believe that we are called to contribute to those less fortunate locally, nationally and also, internationally. Finding a way to do this is not always easy. There are no shortage of organizations requesting financial contributions. How, then, does one decide which programs to contribute to? Obviously, we cannot fund all of them with our own resources. I do not recall how I originally came in contact with Catholic World Mission. My husband and I each had our favorite charities to donate to, and Catholic World Mission quickly became one of mine. I truly believe that it has been the personal contact with Amber DeMartino that has made the difference. I love the newsletter and the website, but most important, has been her personal contact. I feel like we are friends even though we have never met in person. When my husband was ill, when he passed away, and in this year following, Amber has called with updates about how our contributions were being used, and always asked for prayer intentions. Catholic World Mission has been with me throughout my husband’s illness, his subsequent passing from this life into the arms of God, and now, the adoption of special needs kids. Prayer requests?? Yes, lots! Almost too many to name! To be financially responsible, we need to assess what we are donating to and how much we can give. Are those contributions being used wisely? I feel confident with Catholic World Mission. We have chosen to support Catholic World Mission because we believe the education is critical to providing people with a means out of poverty, and in the importance of sharing a portion of the blessings God has bestowed upon us to help children in need. A few years ago my husband and I were talking about what to get our 10 grandchildren for Christmas. It seemed that our children were providing their little ones with everything they needed to make them happy. We had received an invitation to sponsor a student through Mano Amigo and decided to give our children the gift of giving. We had no idea the impact it would make on our family. Christmas morning we presented each family with a photo and case history of young boy in second grade named Martin from Mexico who was one of twelve children. Our gift to Martin and his family became an even greater gift to us on Christmas day as we explained to the kids what Catholic World Mission was doing to help young people just like them. I believe with all of my heart that we had given the greatest gift grandparents could possibly give to young people who perhaps don’t realize how blessed and loved they are. Love and Charity was present as our family gathered that day and truly the Child Jesus had come in our midst. Catholic World Mission not only helps families in need but helps us to share our treasures with those who need it the most. Thanks everyone at CWM. Keep up the good work. The Lord calls us to be of service to the marginalized in our world, and clearly CWM has answered that call and challenge. CNC MASTERS, Inc. is proud to be a faith and financial supporter in this cause. It is a blessing and a responsibility entrusted to us. So we must all do our part to take care of the poorest of the poor. I have been given so much as a Catholic through the Regnum Christi organization. If we want to help the needy it is best done through organizations that we can best be proactive with our brothers and sisters in need around the world. I trust CWM organization…. I have been sponsoring for many years and I feel very confident with them and will continue to recommend them to my family and friends. Mano Amiga Sponsorship is very responsible and committed to their tasks. My husband Carl was sponsoring a child through CWM, and I was sponsoring a child through Children International. When he passed away I sponsored his child because I know that is what he wanted. It gives me a good feeling to know I am helping these children. We donate to Catholic World Mission because we get the nicest phone calls and because it is God’s work with the poor and this is what we know the Lord commands us to do. John 15, 14. “You are my friends if you do what I command you.” We feel blessed to be able to contribute to CWM. Prayer has been the food to my soul and CWM always asks for our prayer intentions. Thomas and Phyllis Cote, Stuart, Fl. We are enthusiastic supporters of Catholic World Mission. It is great to find an organization whose work is so fully integrated with the Catholic faith. Their approach of providing evangelization and education along with medical help and disaster relief make so much sense. We are confident that our donations are being used well to truly help people in need. We support Catholic World Mission because it stresses both helping the poor and spreading the gospel. It addresses both the physical and spiritual needs of the poor; and always strives to present the Catholic faith in all its truth and beauty. My family and I support the work of Catholic World Mission because they serve the whole person: body, mind, and soul. The Mano Amiga schools and all the other programs are such effective ways of answering Christ’s call to serve “the least of my brethren.” While we cannot be there physically in the mission field with Catholic World Mission, we know that in our own small way we are also helping to answer Christ’s call through their work. My husband Enrique and I support Mano Amiga because we believe so strongly in education being one of the most important things we can give children, especially children living in impoverished areas. We are both teachers here in the United States, and we have been on mission to many poor areas in Mexico. We have seen firsthand the poverty and difficulties many families live with. We thank you for providing such excellent education to so many children. We know that we can trust our donation to be used wisely. We support Catholic World Mission because we want to give back in some way what has been given to us. Some dear friends shared their Catholic faith with us over 15 years ago and as a result, we experienced a deep conversion and the beginnings of a very personal relationship with Jesus Christ that has carried us through many years of trials and suffering raising children with special needs. We realize the great gift of that “hand up” and want others to experience that gift as well. We have heard the testimonies of some of those who have attended the Mano Amiga schools and were able to break the cycle of poverty that had held their families captive for many generations. We realize that with our limited ability to support only one student’s education each year, we may only be able to assist that one soul, but reflecting on the value of that one soul in Christ’s eyes makes us realize that some things have far greater value than we can imagine. Thank you Catholic World Mission for inviting us to share in this important work! Kathy and I support the work of Catholic World Mission because it serves our brothers and sisters in need – physically, economically, intellectually, and spiritually. The work is largely person-to-person. And we know power of our dollars gets magnified by the work and prayers of its zealous leadership team and generous, intrepid volunteers. Many years ago, my husband and I decided to start tithing 10% of our income to charity. God has always taken care of our financial needs, so we have continued this practice without hesitation. We are especially drawn to donating to solid Catholic organizations who seek to further Christ’s mission in this world. When we learned about Catholic World Missions, we were impressed with their organization and outreach in the areas of education, medicine, evangelization, and disaster relief. I was named after St. Therese of Lisieux and she is the Patroness of Catholic missions because of her special love for them. Although she never went anywhere, Therese offered prayers and letters in support of missionaries. We are also inspired by the selfless work that others offer to relieve suffering and poverty of so many in this world. Our financial support of Catholic World Missions helps advance their work and we are grateful to God for giving us the chance to contribute, even in a small way. I support because there is no better organization that best models the Church’s teachings on charity than Catholic World Mission. CWM not only serves the physical needs of the poorest of the poor, but the spiritual needs as well. When my wife and I became Catholic a decade ago we looked around for Catholic missions to support that combined material support to those in need with explicit evangelical outreach. Thanks to our background as Evangelical Protestants–including my own mission trips to Mexico–we desired to support an organization that did not downplay or ignore the call to the New Evangelization. CWM fit the bill. We believe that in supporting CWM we are not only assisting our Latin American brothers in sisters in their material needs, but also equipping them with the saving knowledge of Jesus Christ and His Church in its fullness. This emphasis is evident in CWM’s work, especially in the Lay Evangelizadores program and the Mano Amiga schools. 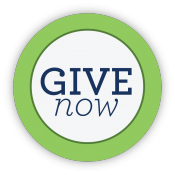 We encourage others to consider CWM in their giving. Rylie Hernandez raised $600 with her class bake sale. I am the Director of Religious Education here at Immaculate Conception Church and I am writing to tell you about a very special class, My Fifth Graders. This class of 16 students under the guidance of their teacher, Brother Lombardo studied about different ministries around the country and around the world. After all had completed their presentation, Rylie Hernandez told us she was asked to be the ambassador, to represent you, Catholic World Mission, the class wanted to do something special for you.. So they decided to do a bake sale. At the bake sale – just 1 hour – they sold cookies, cupcakes and brownies and raised $643.29. I am so proud of them! Enclosed please find a check from the 5th grade kids of Immaculate Conception in that amount. Hope this money helps you with your wonderful work for all those you touch through your ministry. We are an ordinary unremarkable couple. We have been married for 53 years … and have six children. We both grew up in strong blue collar families … where we learned about helping others. During most of our marriage we struggled to make ends meet and educate our children. We always felt that God was with us … seeing us through the darkest stages. When we retired we started living on a fixed income. We found that we were able to make some money available to help others. At first we were making minimal donations to every appeal we received. Then we decided that the cost of processing the donations ate up most of the benefit. We switched to a more focused contribution scheme … with regular meaningful monthly donations … which would ensure a more beneficial reliable funding stream. We support the theory behind the TV commercials that $19 per month does make a difference. We currently support thirteen different charities on a monthly basis … serving others domestically and internationally. We chose organizations (such as Catholic World Missions) which we felt were focused on areas with the greatest need. During the past few years we have been able to gradually increase our donations by a few dollars each month to meet these growing needs. We continually thank God that He has blessed us. I am 8 years old. I’ve been saving this money since last winter to help the Japanese people. Please do whatever you can to help. When I was 20 and before I married, I converted from being a Methodist atheist to a Catholic atheist. When the marriage failed, I continued to go to Mass even though I didn’t even believe in God. The Mass was something stable in my life and I needed that stability. Over the years, Jesus has shown to me His infinite love and changed my life. During this process, I have come to believe that the Catholic Church was divinely created by Jesus Himself. This is where the fullness of the Truth is and as we know, the Truth is Jesus. As a convert, I recognize the need for fidelity and orthodoxy to the Faith if we are going to please our Blessed Lord and ultimately enjoy eternity in Heaven. Catholic World Mission is faithful and orthodox in its mission and promotion of the Faith. I hope my meager assistance can in some way introduce other people to the infinite Love of Jesus Christ and His lovely Bride, the Church. I love to donate time and money and I feel it’s my duty as a Catholic to serve the community as well as follow the preaching of the Bible. In my support of Mano Amiga in Guatemala I see the children progressing and I feel a deep satisfaction that maybe I had a part in their lives. Our family supports Catholic World Mission because we have been very blessed in our faith, family and community and we wanted to give back. We have sponsored children in the past through various agencies but wanted to support a Catholic mission as our faith is very important to us. We heard about CWM and loved their goals of not only educating children who may not otherwise receive an education but also the goal of these children one day giving back to their community sharing their faith and talents. My eleven year old daughter prays for our sponsored child every night. We were looking for a charity that would help hungry children and were thrilled to find out about CWM because they feed both bodies AND souls. CWM has led these children to Jesus, the divine healer, who will help them with whatever problems they may face throughout their lives. Early in our marriage, my wife and I wanted to donate to a Catholic charity to support the needs of the poor and Catholic World Mission was the one! Ever since we’ve donated, the staff has added a personal touch in making us a part of their mission with personal calls of thanksgiving for our contributions. We found that to be so rare in a charity. I don’t know how they have time to do it but thank you for your time. We know that our contributions are making an impact, may we all contribute not only financially but with our time and God given talents too. There are certainly others throughout the world less fortunate than us and we thank CWM for their ministry and for spreading God’s love to all four corners of the world. Many years ago I attended a lecture featuring two famous 20th century economists. It was from the topic, The Top 10 Things People do to get the Poor off their back” and particularly the #1 item, ‘convincing oneself one’s money never really gets to the poor’ one is trying to help’ that has always stayed with me. It spurred me to do homework on charities, and to be proud to be able to support many Catholic organizations, especially Catholic World Mission. The conscientious way they keep in touch with their donors, always updating them on the particular programs, numbers of people, and ways they are served that assures me our dollars are well spent. Most of all, they are true to our Catholic mission of joining charitable works with evangelization, in bringing the gospel mission to our brothers and sisters throughout the world. We thank God everyday for the gift of life, the gift of faith and the gift of our Catholic Church. When we see the work of Catholic World Mission we are deeply humbled and extremely grateful at the same time. By giving to this great organization it allows us to help in some small way these truly heroic people. Faithful Catholics can truly change the world. May God bless you always. My family would like to thank you for remaining loyal to your Catholic identity. Other mission organizations we formerly donated to have all but erased any catholicity from their work, which is why we no longer support them. Saving souls is the most important part of any missionary work. We are grateful that evangelization remains part of your mission. Keep up the good and faithful work!